As Summer winds down, and we start to see the Summer fruit dwindle in the stores, I find that I am on one last Summer dessert push. I know, in a few shorts weeks, that the fresh Summer peaches will be replaces with the depressing peaches we get most of the year. 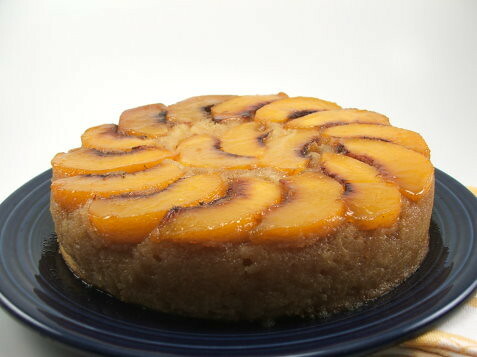 I am going to miss my fresh peaches, and I thought that I have one last ‘hurrah’ in the form of a peach cake. 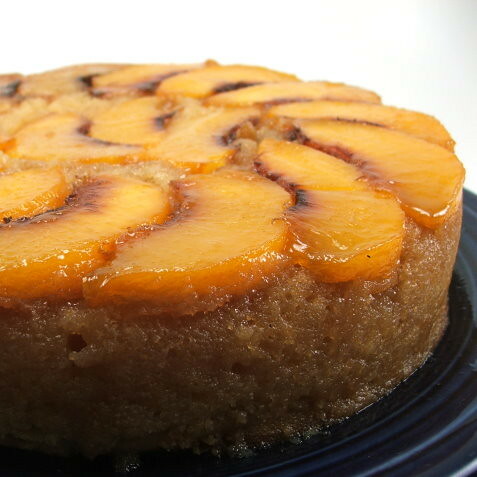 I have be sort of obsessed with upside-down cakes of late, so it was a natural for me to turn my lovely late peaches into a fluffy, rich cake. 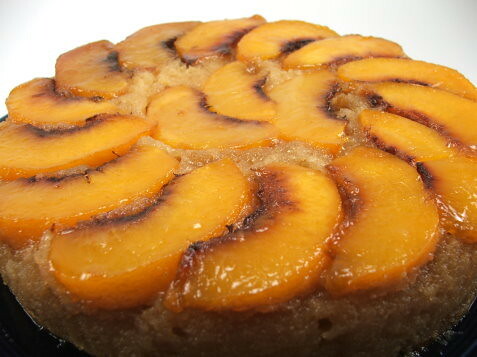 Along with tasting good, it is really nice to look at making it perfect for a party or pot-luck. 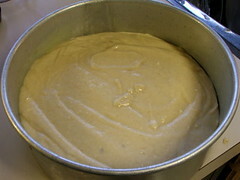 Heat the oven to 350 F and spray an 8″ cake pan with non-stick spray. 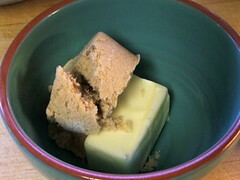 In the microwave melt the butter with the brown sugar. Mix well. 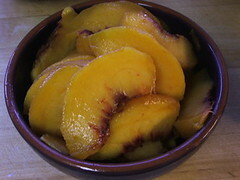 Pour the butter mixture into the prepared pan and layer the peaches on top. Set aside. 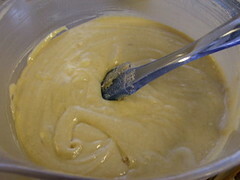 In a medium bowl cream the butter, brown sugar, and white sugar until well combined. Add the vanilla and the eggs, one at a time mixing well between additions. In a separate bowl sift the flour, cinnamon, baking powder, and salt. 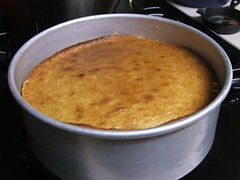 Add the dry ingredients alternately with the buttermilk, starting and ending with the flour. 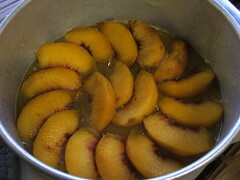 Pour the batter over the peaches and spread to the edges of the pan. 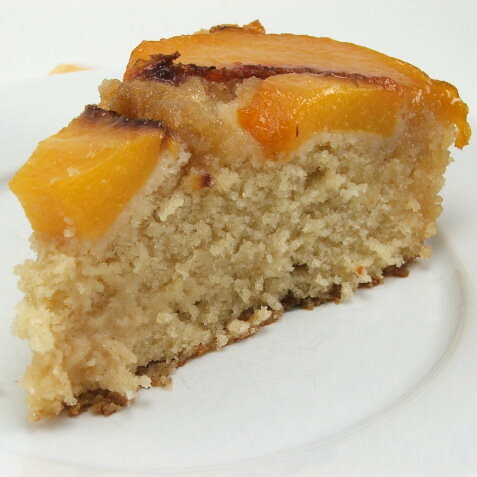 Bake for 40 to 50 minutes, or until the center of the cake springs back when lightly pressed and the edges begin to pull away from the sides of the pan. Cool for ten minutes in the pan then turn out onto your serving platter. 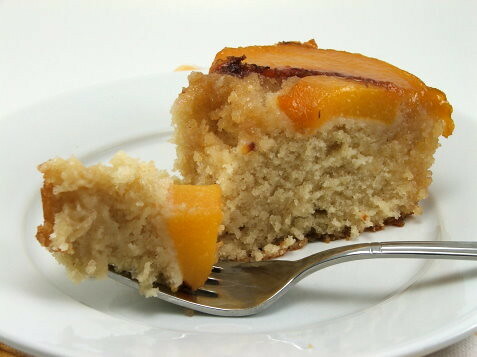 Allow to cool for an additional thirty minutes before slicing. Enjoy warm, or at room temperature.